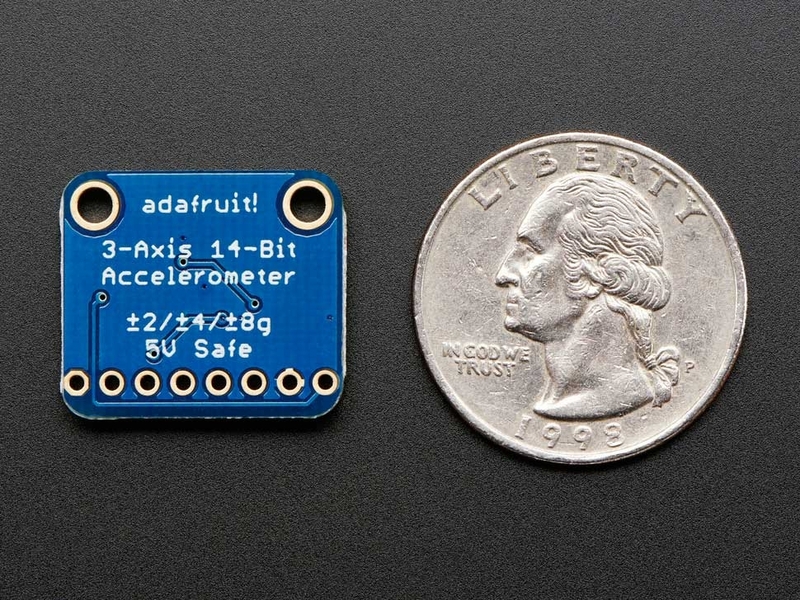 To get you going fast, we spun up a breakout board for this little guy. 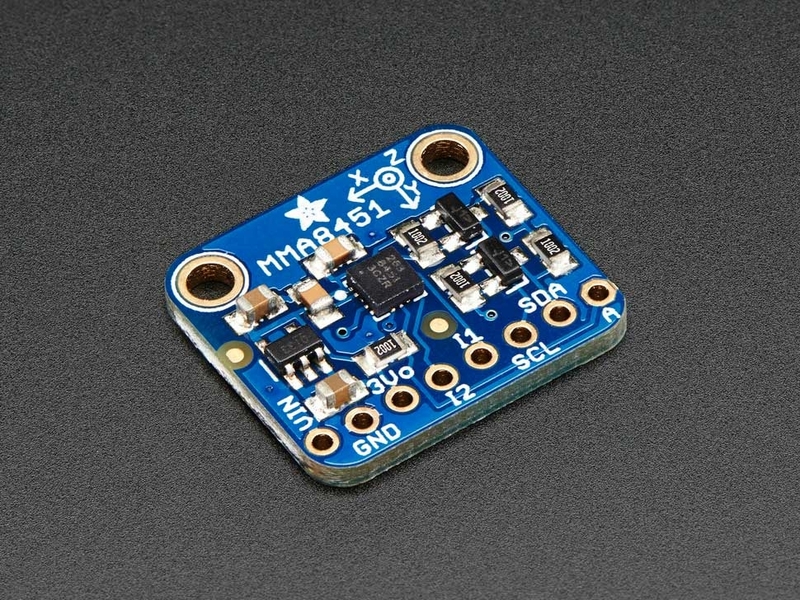 Since it's a 3V sensor, we add a low-dropout 3.3V regulator and level shifting circuitry on board. That means its perfectly safe for use with 3V or 5V power and logic. It's fully assembled and tested. 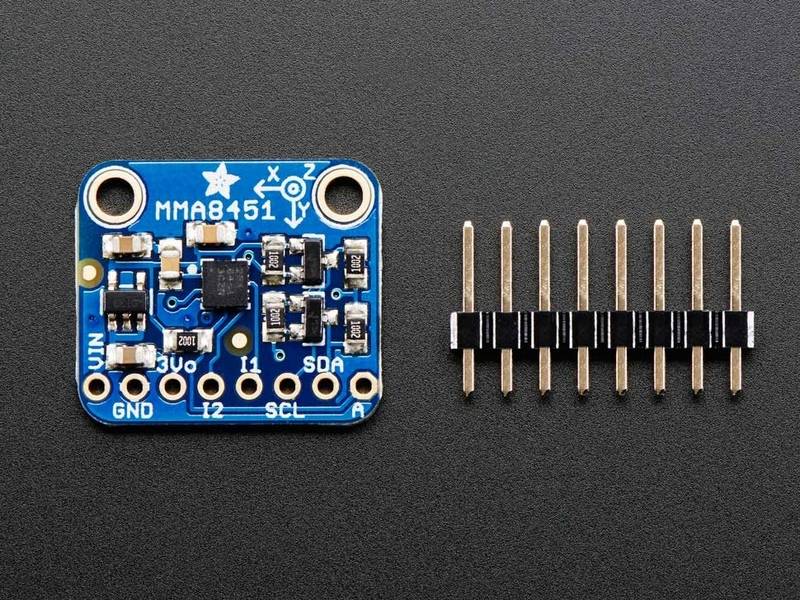 Comes with 8-pin 0.1" standard header in case you want to use it with a breadboard or perfboard. Two 2.5mm (0.1") mounting holes for easy attachment. Dimensions: 21mm x 18mm x 2mm / 0.83" x 0.71" x .08"